In his 2008 book Outliers, Malcolm Gladwell proposed that with 10,000 hours of practicing a specific skill correctly, one could become an expert. While his theory has been criticized as of late, I see value in applying the 10,000 hour rule to the many music production-related fields including performance, recording, mixing and mastering. Having eclipsed the 10,000 hours nearly three times now (if my math is correct), I’ve improved at certain tasks by means of ‘baby steps’. There have also been several breakthrough moments in which, all of a sudden, a singular component to the overall skill of music production suddenly makes complete sense, and I’ve effectively ‘leveled up’. While continual practice to avoid rust is required, I will fortunately never return to how I was before these breakthroughs. Several of these occurred early on in my career, and are therefore more applicable for beginners, but are breakthroughs nonetheless. I learned early on that filtering and equalization are not magic fixes. If you aren’t deliberate in your decisions when boosting and attenuating, don’t expect to enhance the material. It’s also essential to be aware that while getting a signal to sound pleasant on its own is a valuable skill, that doesn’t always mean it will work within the context of the mix. Make filtering and EQ decisions based on relationships between different elements, and be aware that these relationships can be very complex. At the end of a mix, when I’m printing stems for clients, sometimes I’ll listen back and find it interesting how strange certain elements sound on their own, frequency/spectrum-wise. It doesn’t always matter, however, if an element sounds a bit lacking in something, or overly-bright, as long as it plays nice with the rest of the arrangement. A college professor turned me on to ‘Golden Ears’ by Dave Moulton which includes a plethora of ear training exercises, my favorite of which includes using equalization for adding and subtracting at specific octaves to pink noise. This really helped me develop the ability to quickly identify certain frequencies. A more modern, tidy, and higher quality version of this concept is Quiztones. My very first recording setup consisted of a cassette tape recorder and Yamaha computer speakers which sat on a dresser in my childhood bedroom. Next was my first computer-based configuration which featured (slightly) better monitors and was located in a large but narrow walk-in closet. I cringe a bit thinking back to what they must’ve sounded like, but we all make mistakes in our youth. The very first time I listened to music in an acoustically-treated environment with high-quality monitoring was a watershed moment for me. I immediately understood the importance of working in a great sounding space, with high-quality monitoring (multiple sets, if possible.) Upon moving to Los Angeles, hearing a recording of the Beach Boys in the studio in which it was created made me realize that certain rooms are special, and impart an intangible character and magic onto a production. Reading as many articles, journal entries and books on acoustics and the science of sound is essential in understanding how music interacts with our physical world. In my current setup, I’ve spent more money on acoustic treatment and monitoring than I have on plugins, and my productions are far superior-sounding because of it. 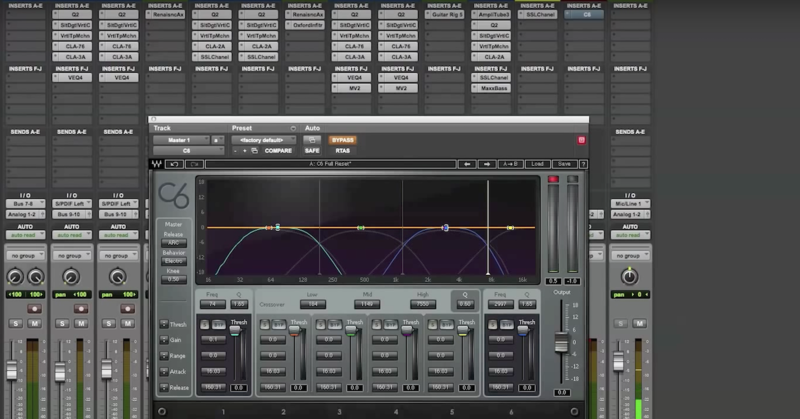 Compression is one of the most complex and therefore trickier types of processing used in audio. I’ve been working with compressors for over two decades, and am still stumbling upon fresh ways to apply them to productions. 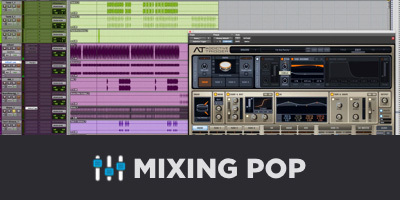 There are hundreds of worthwhile hardware and software compressors, each of them unique and usable in a variety of applications. Some compressors feature very simple user interfaces and functionality and some are absolutely bewildering — but once I learned the four basic controls that are found on most compressors and understood the concept that they are separate yet interrelated, something clicked, and compression went from being a mystery to one of my favorite tools for processing a signal. 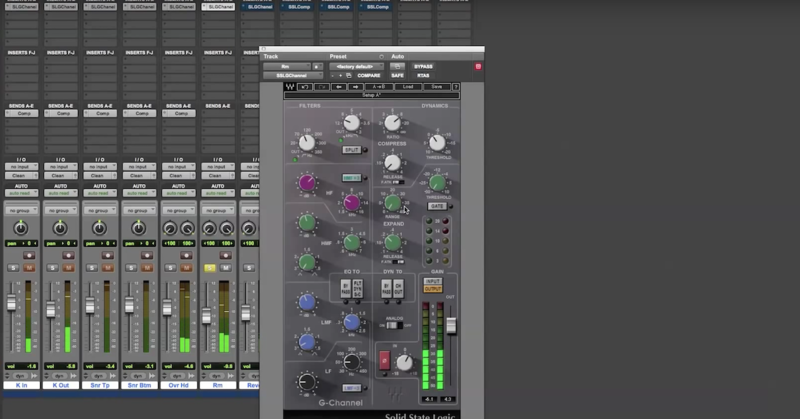 As a professor of audio, I’ve lost track of the number of times a student has presented a mix, and I’ve noticed a compressor inserted on a vocal or something similar, but with it applying no gain reduction whatsoever. Conversely, I’ve seen (and heard) plenty of tracks unintentionally slammed with over 20dB of gain reduction. These are examples of where grasping the concept of a threshold and ratio are essential. I used to listen back to my mixes with frustration because the drums didn’t hit the way commercial releases did. It wasn’t until I understood how the attack and release functions on a compressor can really enhance the dynamics of percussive sources that I felt as if I could get drums sounding the way I heard them on my favorite records. I formerly used to be absolutely fascinated with precision and perfection when recording and mixing music. Every detail needed to be pure and detailed, captured with the utmost respect for the rules of audio recording. I was hunting for the cleanest signal imaginable. Now while it is great to have an acute attention to detail during production, and of course to respect the science of sound enough so you don’t irreparably damage a signal or equipment, ‘perfection’ is subjective, and music, just as the humans who create it, are meant to be imperfect. Over the years, I’ve simultaneously developed a great respect for the capabilities of digital audio, and have become more and more displeased with its inherent sterile sound. I find that imparting the sonic imperfections and harmonic saturation of analog hardware units onto digital signals generally helps them to be more similar to the famous recordings of the many decades before digital audio became commonplace. A fellow contributor to this site, Brad Pack, has some lovely write-ups on digital plugins designed to emulate the vibey, imperfect goodness of analog hardware. Use them and abuse them in ways that would be too risky if you had access to the sensitive and expensive analog units they’re modeled after. Sure, a handful of well-rehearsed musicians playing beautifully-crafted songs with nuance and feeling is great. Put these musicians in a fantastic room, and record them expertly? Love it. At some point though, I realized that not all music is meant to be so organic and natural, and my productions became better for it. If you read my articles, you’re likely aware that I am Beatles-obsessed. The Beatles to me are so amazing because they were able to simultaneously sound like a garage band and the most hyper-produced musical act of their time. Especially in the middle and later years, the sounds they were getting were not natural. The sonic textures they were obtaining were not meant to be perceived as natural performances, in many cases. They were often going after something more abstract. Painters used to strive to create the most realistic portrayal of their subjects possible, and there’s plenty of artistic value in that, but impressionism would’ve never come to be had the concept of painting what you feel rather than what you see not been worth exploring, and ultimately embraced. I apply this philosophy to my own work, and it makes me more employable, and my job less stressful. There are times when I am hired to maintain the organic sense of space and feeling captured during recording, and I very much enjoy these types of productions, but I also enjoy mixes that call for drastic filter sweeps, four layers of kick and snare, and lead vocals dripping with saturation. I firmly believe that no amount of practice, reading or schooling quite matches the experience of working beneath a mentor. Learning about the lifestyle, workflow, best practices and expectations of a senior engineer are irreplaceable experiences. While it may require moving to a major metropolitan area for the opportunity, it’s well worth it if you’re seriously considering a career in audio or music production. Working with a seasoned engineer will most likely provide you access to a top-notch studio environment, as well as exposure to professional-grade client work. Seeing and hearing first-hand how commercially viable media is created and distributed is essential if you hope to cultivate a sustainable career. I had been studying and practicing music production and audio for about seven years before I made the decision to attend a major university to study sound. I believed that a formal education in a subject that I loved would be beneficial for my art, and for my future. I enjoyed my studies tremendously but realized while still attending that my education wasn’t going to end once I graduated. I’ve met and worked with plenty of seasoned engineers, musicians and educators, and what I’ve noticed in all of them is an undying curiosity and desire to keep improving in their field. This is where I begin to agree with detractors of the 10,000 hour rule. You’ll make major breakthroughs as you spend more time correctly practicing something, but you risk stunting your own potential development if you believe that you’ve become an expert. In a business and art form in which the technology and aesthetic continue evolving, an open mind, and acceptance that you’ll never know everything is essential for success. 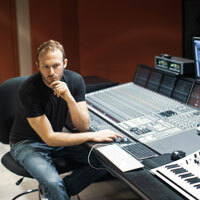 Ian Vargo is a Producer, Mixer and Audio Professor based in Los Angeles. He has worked on numerous major label and independent records. 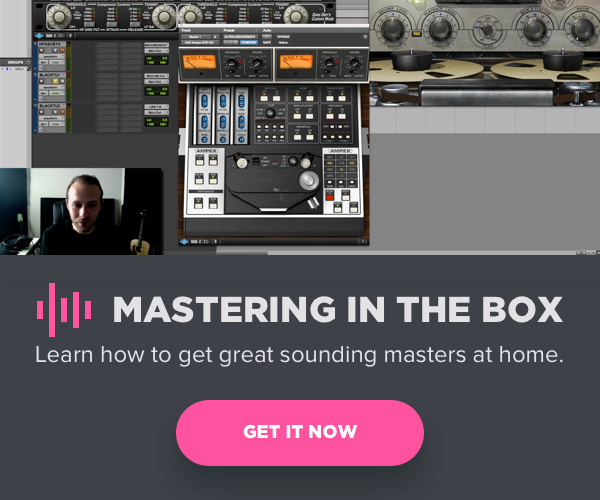 Get in touch on his website or learn more from him in Mastering in the Box and Mixing Pop. Should I EQ Before or After Compression?